With the extremely inauspicious #2 black star visiting the northeast of the home or office in 2019, we need to use a very special cure to bridge the gap of the elements. 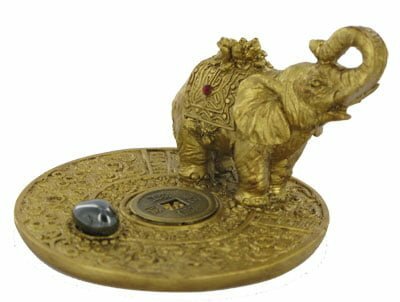 The traditional cure is placing a single Elephant with his trunk raised standing on a round amulet plate which must be round as round is the element shape of metal and the whole cure including the Elephant must be gold in colour as this also represents metal. 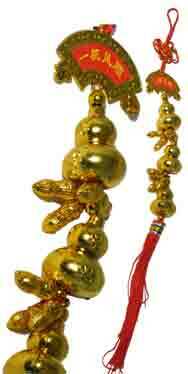 This is a beautifully crafted talisman cure and is stunning and coloured to represent gold with two embedded red stones to represent the rubies along with an auspicious i-ching coin placed on top of the talisman symbol along with the crucial hematite quartz crystal that is used to control the menacing #2 star. In Feng Shui, the Elephant is a strong symbol of strength, wisdom, protection and courage and this proud elephant is a beautiful representation with his trunk raised in victory, which is so important in Feng Shui as a trunk downwards represents a loss of wealth and bad luck making this elephant the best you can get. 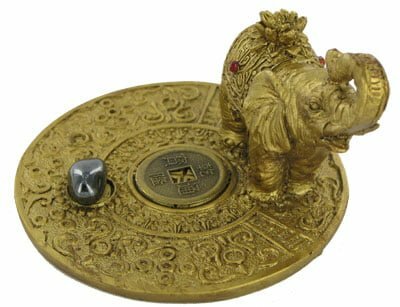 You can also place this Elephant looking onto a door to symbolise the arrival of good luck and good fortune, or facing outward (if placed outside) for protection of the building. You can also use them on a windowsill again symbolising protection. 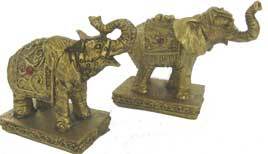 Unlike Fu Dogs these Elephants are not handed so they can be placed on either side. Where do I place the Da Xiang amulet in 2019? 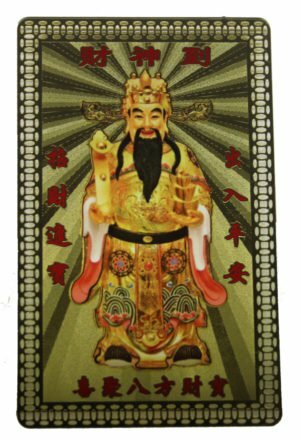 The Da Xiang amulet should be placed in the northeast of your home or office or northeast area of an important room. 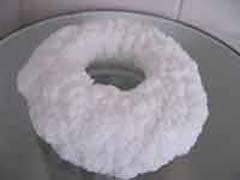 How do I display the Da Xiang amulet? 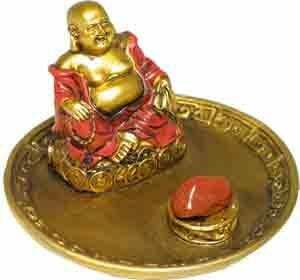 When should I display the Da Xiang amulet?